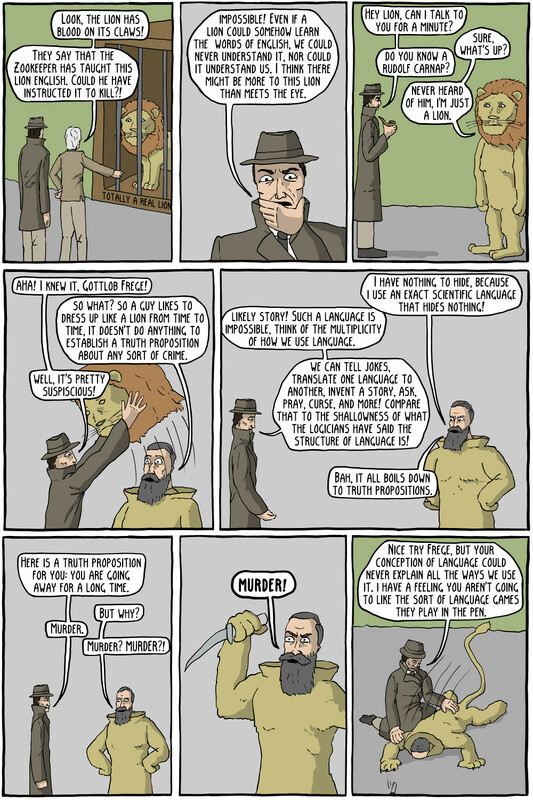 The comic is mostly referencing Wittgenstein's Philosophical Investigations, which was largely attacking the conception of language used by people such as Frege (and Wittgenstein himself in the Tractatus). Wittgenstein thought of language as purely participating in social, public "language games". By this he meant that we learn words as a way to participate in social activities. For example, in the comic, the word "murder" is used in a many different contexts, and it can only be understood by the group's understanding of the situation that it is used in. Wittgenstein also said "If a lion could speak, we could not understand him". This is because a lion, living such a different life as us, could not understand the social games that we play that give words their meaning, so even if it understood English words and grammar, it could not participate in human language games. The "beetle" is a reference to his argument against private language. You can read more in the Stanford Encyclopedia of Philosophy. 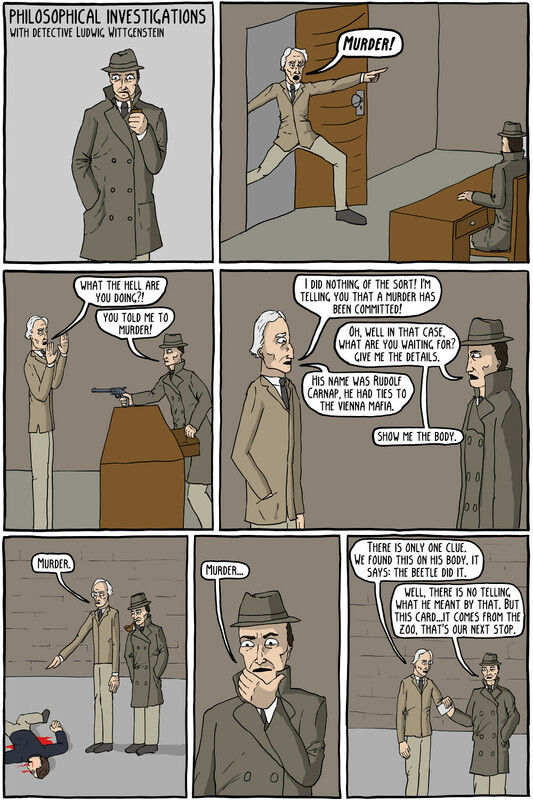 (And you'll probably have to, since this explanation is pretty bad, but Wittgenstein is hard to understand, or explain).